Looking at thesimplestaphrodisiac‘s post on PAUL in dubai immediately made me reminisce about my holiday in paris last december. The dedication to detail is imbibed in every aspect of this shop. From the dessert descriptions, to the handling of the pastries and of course the taste of every single dessert. 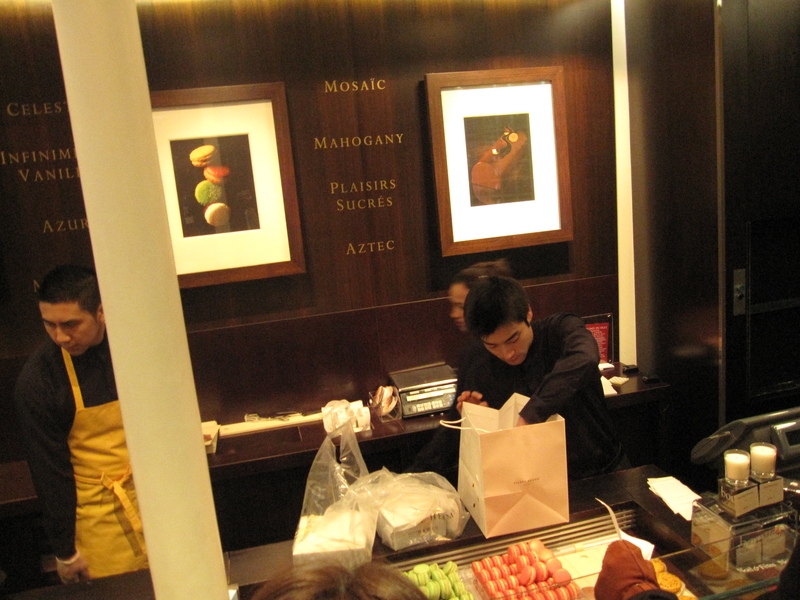 Yes my friends, this shop belongs to none other than the pastry chef I admire most in the world- Pierre Herme. 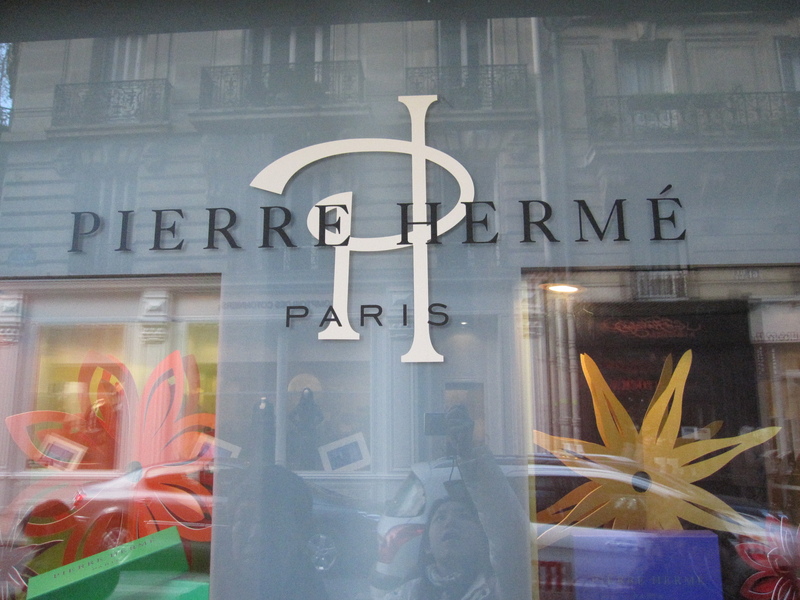 Pierre Herme is an institution for macarons. I knew I had to visit his shop after seeing all the videos and reading all the books i could get my hands on this publicity shy man. His creations are works of art, each crafted with a certain french-like finesse. And best of all, they taste exquisite. 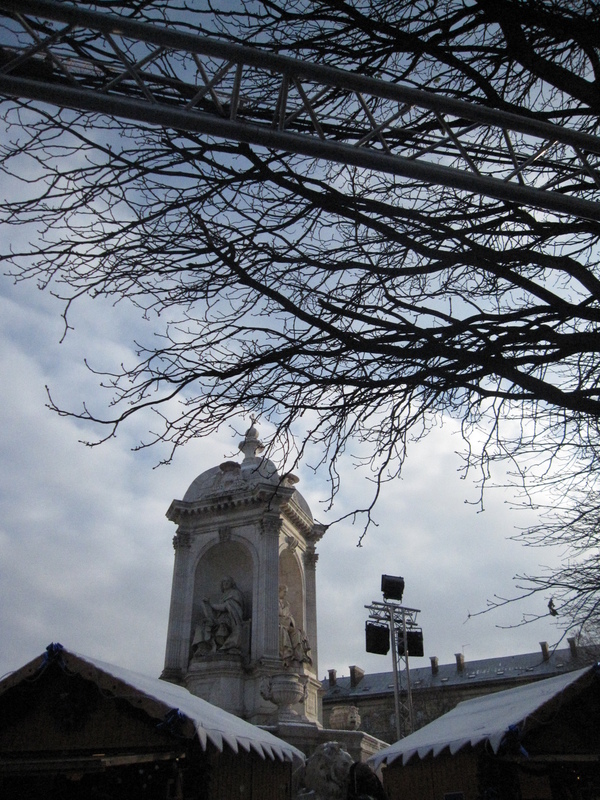 Don’t be fooled by my photos. 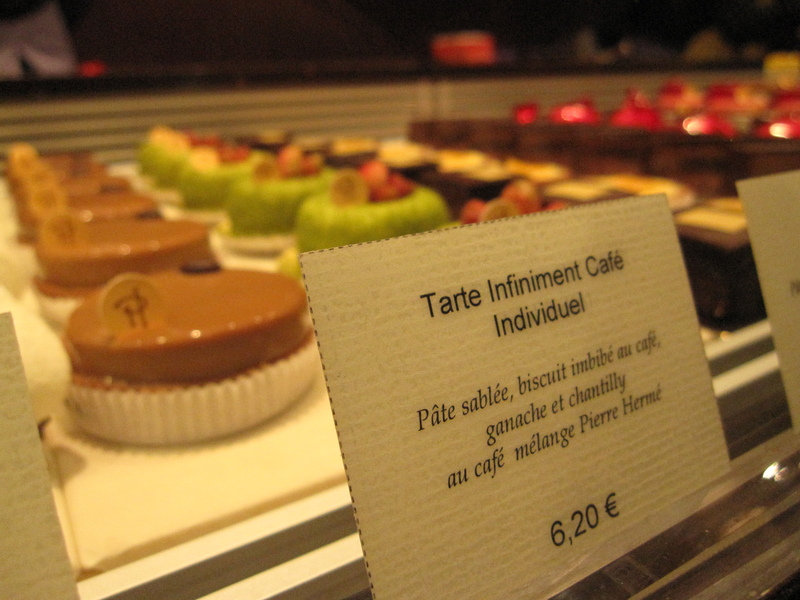 This is a very small pastry shop in st sulpice. There are no seats, people are jostling just to get in whilst trying to get the attention of the snobby french staff behind the counter. 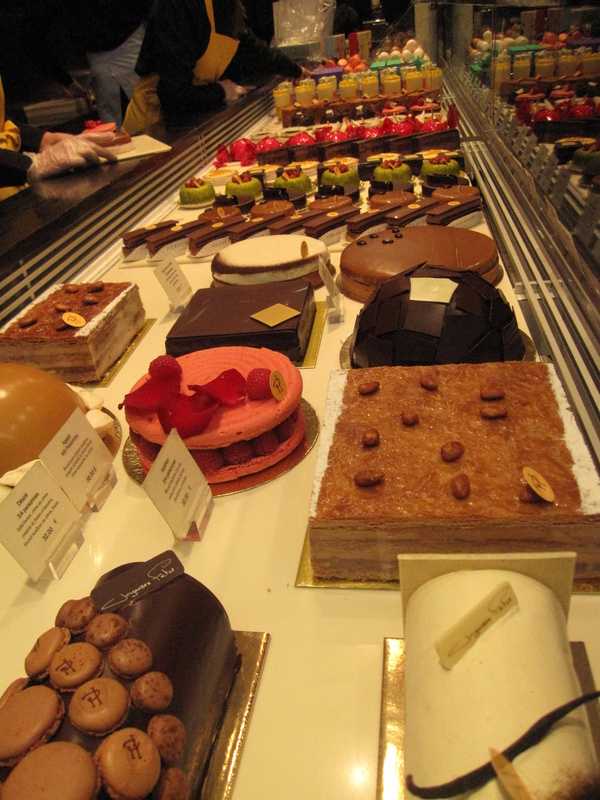 But the creations- cakes, macarons, verrines, tarts on the dessert counter, the cupboard full of boxes of chocolate pralines and small baskets with crossiants and caneles, awed me from the very second I walked in. Dessert paradise! We were enjoying this standing at the pavement. My favourite is actually the chocolate and cassis one that you see here half bitten. My mum and I took a bite in the restaurant we were eating in only to be chastised by the old french guy running the place. Hence we hastily shoved it back into the bag resulting in this! 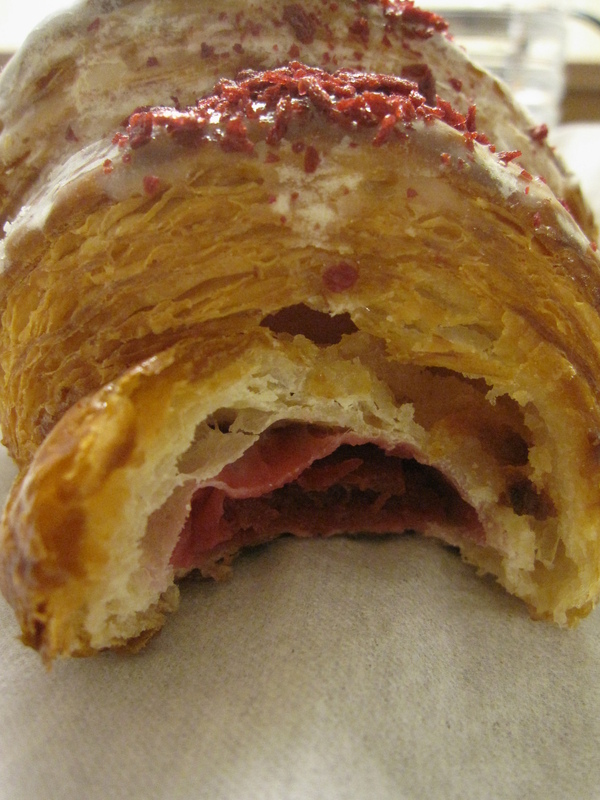 The filling was a rich dark chocolate ganache with the real cassis fruit mixed within. Not dried, fresh but pressed into pulp. There were slight acidic notes of red wine ( it’s probably from the cassis) which complemented perfectly with the luscious dark bitter chocolate. 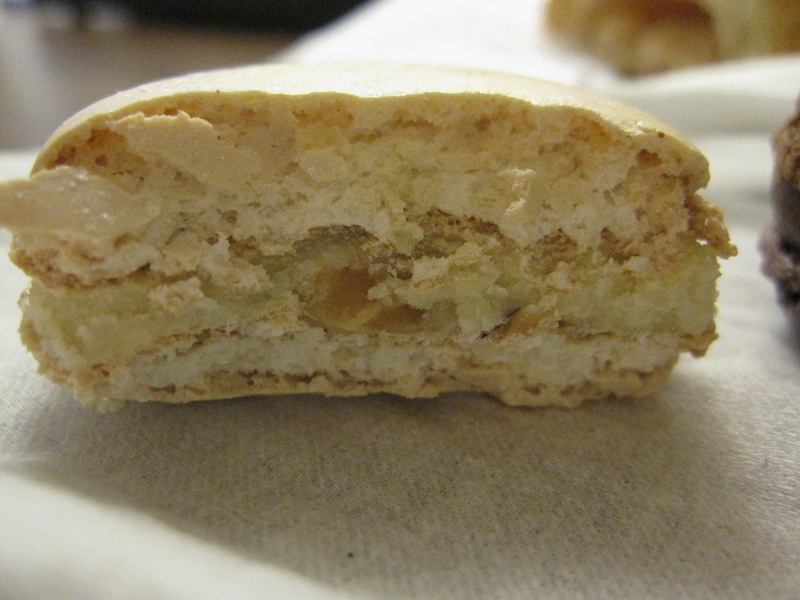 The shells were puffy and moist causing the macaron to literally melt in your mouth after just a few chews. I like the chesnut flavoured one as well which had some shiny gold glitter sprayed onto it’s light brown macaron shell. The earthy notes of white truffle ( note that he uses the more expensive white truffle, cousin to the black truffle which is less potent) complement the nutty flavour of the single hazelnut nestled in the centre. Do you see it in the picture above? The traditional rose, vanilla, chocolate, pistachio and citron macarons ( some not pictured here because I bought it during my second round) all had full bodied flavours unmatched by any other macaron I’ve tried in france and in Singapore. 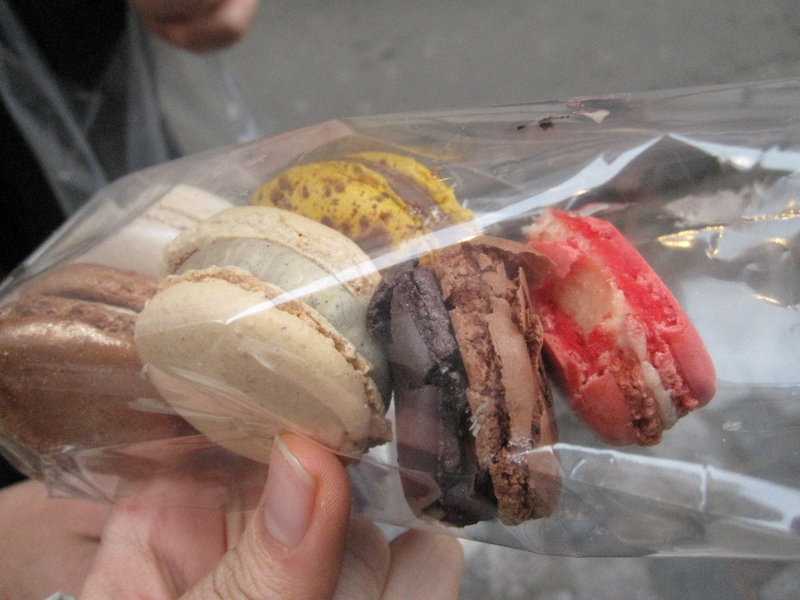 Of course the passionfruit and milk chocolate macaron ( it is copied by so many like canele) beats everyone else’s hands down. 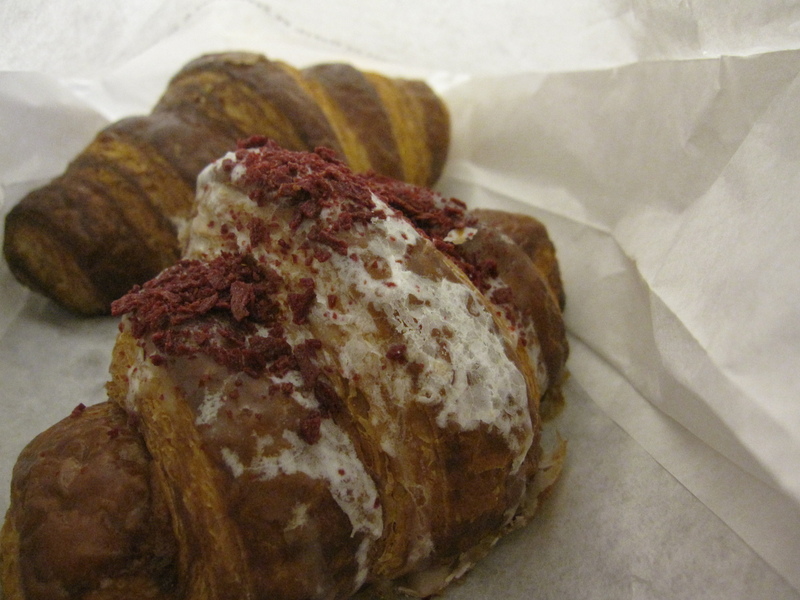 Besides macarons, pierre herme’s crossiants are also touted to be one of the best in france. 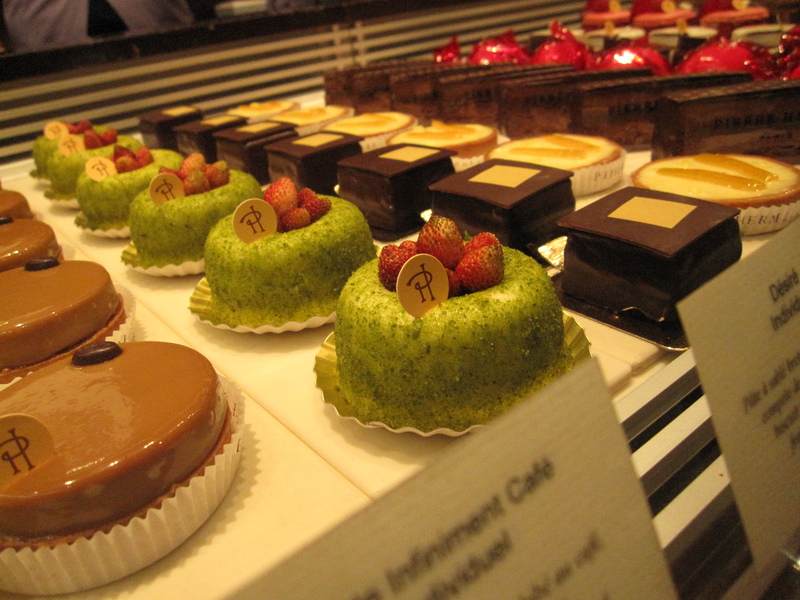 As long as pastry chefs like Pierre Herme are around, and the beautiful architecture and scenery in paris remains unadulterated, I’ll still continue returning to france. However, beware of all those snotty old french men with pointy noses and the disgusting level of pickpocketing and cheating of tourists ( i was a victim! ).